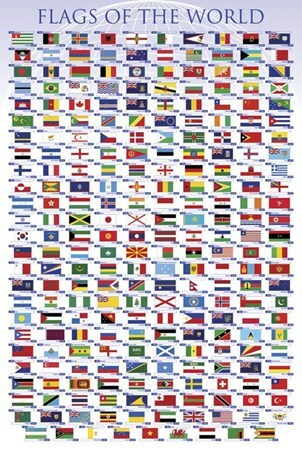 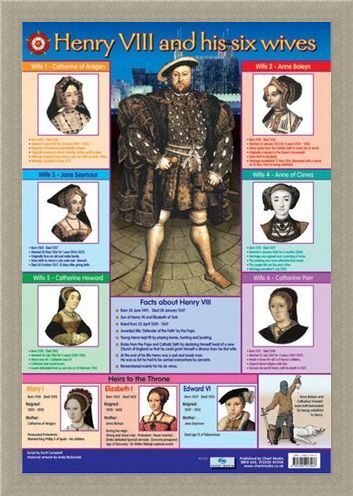 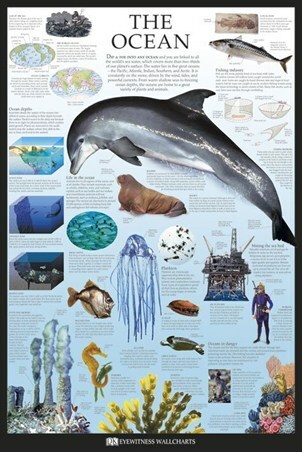 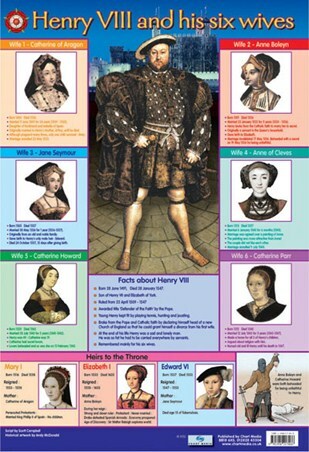 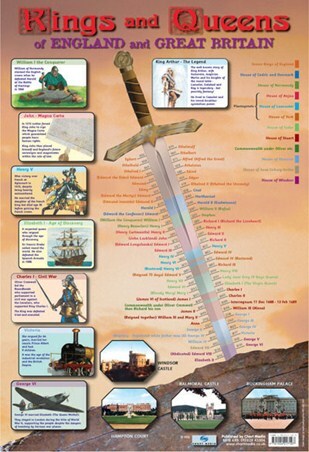 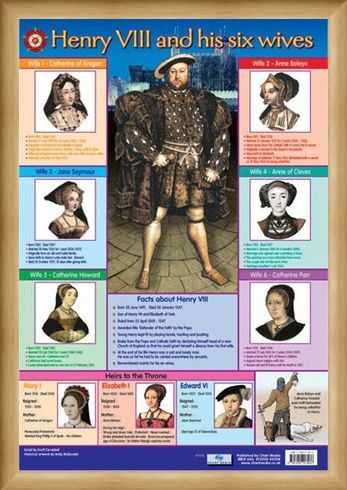 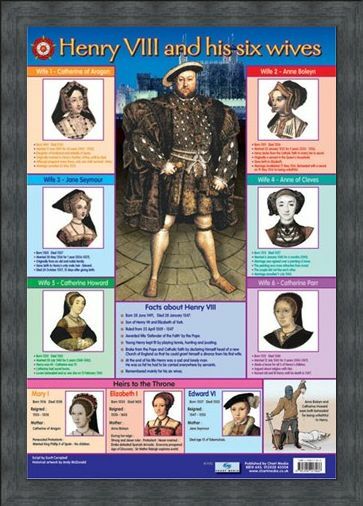 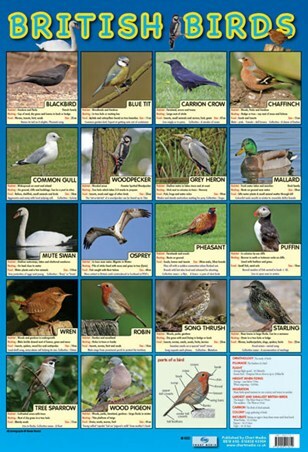 Children's Educational Mini Poster: This glossy, educational mini poster is your one stop guide for everything you need to know about one of the most significant figures in the history of the English monarchy. 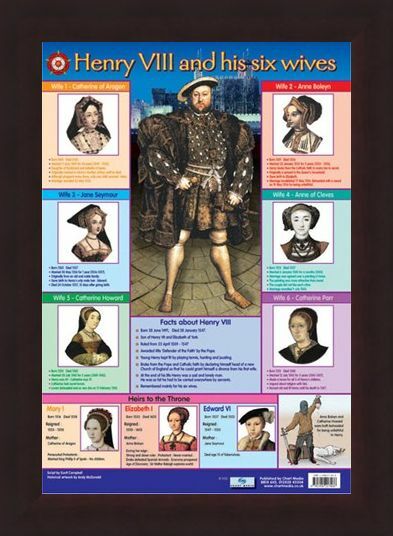 Remembered by most for his six wives, this poster details all of Henry VIII's wives, from Catherine of Aragon to Catherine Parr, as well as the beheading of Anne Boleyn and Catherine Howard. 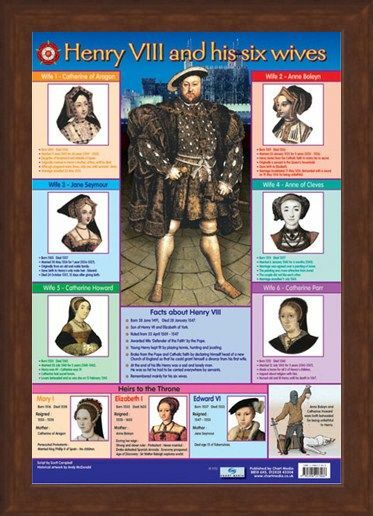 Bursting with facts about King Henry and his three heirs to the throne, Mary I, Elizabeth I and Edward VI, the stunning illustrations & details in this poster make it a must have for any budding historian. 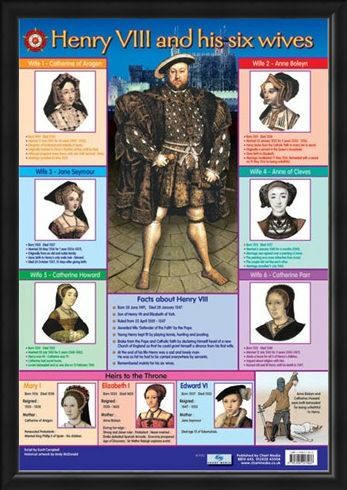 High quality, framed Henry VIII and his Six wives, Educational Children's Chart mini poster with a bespoke frame by our custom framing service.